Explores why it matters that texts exist in the form of stories, and how they rest upon cultural and social assumptions (how narratives are always ideological). 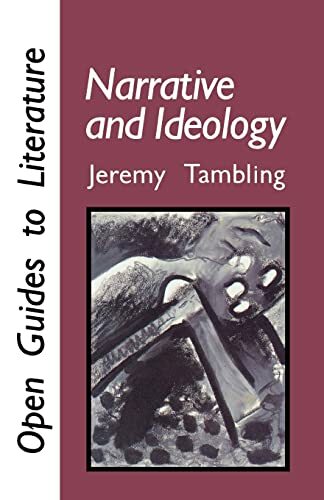 Jeremy Tambling is based at the Universityof Manchesterand has taught literature at all levels, from school to PhD level, including many adult groups. He is the author of many books - including a Longman Critical Reader on Dante - the most recent of which are "Blake's Night Thoughts "(Palgrave, 2004) and "Becoming Posthumous "(Edinburgh UP, 2001), described by "The "Guardian as "an elegant work of literary analysis."